A dedicated holiday on Scotland's most heralded island, taking in all corners of Skye: Sleat, Waternish, Trotternish, Minginish, Duirinish & Raasay. £1545 pp, £150 single supplement. 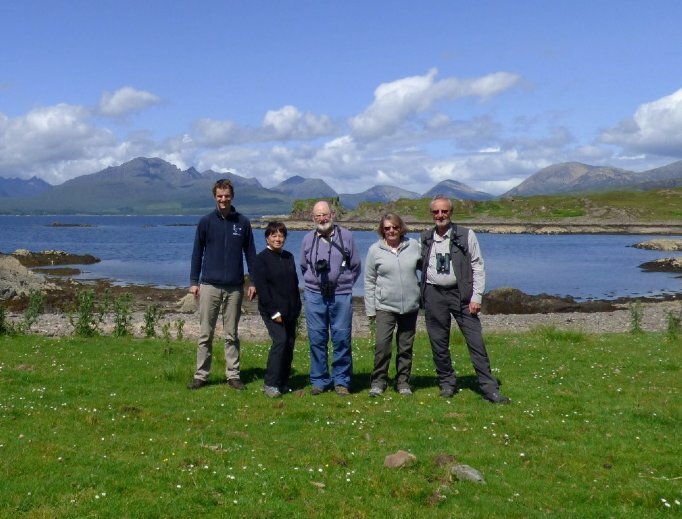 This exciting new itinerary takes us birding amongst the stunning scenery of Scotland’s largest and most heralded island. 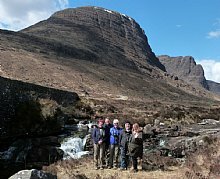 The tour can be seen as a thorough appreciation of Skye, as we visit some of the more remote parts of the island on a leisurely expedition which targets all the key wildlife. 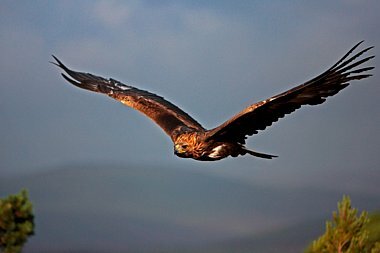 Birdlife includes Golden Eagle, White-tailed Eagle, Hen Harrier, Merlin, Twite, Great Northern Diver, Red-throated Diver, Black-throated Diver, Black Guillemot and other seabirds, with chances of Corncrake. Passage waders should include Greenshank, and many commoner species will be in breeding plumage, including Dunlin, Sanderling and Bar-tailed Godwit. Mammals should include Otter, Common Seal, Grey Seal, and several cetacean species, often including Harbour Porpoise and Common Dolphin. This is a relaxing and rewarding short break as birds settle down to breed, before the main season when tourists arrive in number. 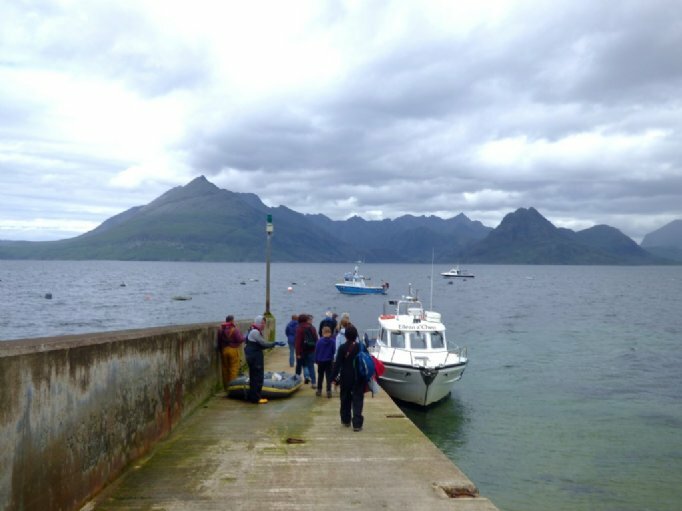 You will discover remote Skye at its most entrancing, beginning as we arrive via the famous Glenelg - Kylerhea turntable ferry. During our stay on the island we visit wild outposts including the Waternish peninsula and the northern peninsula of Trotternish, where we have a good chance of hearing if not seeing Corncrake. 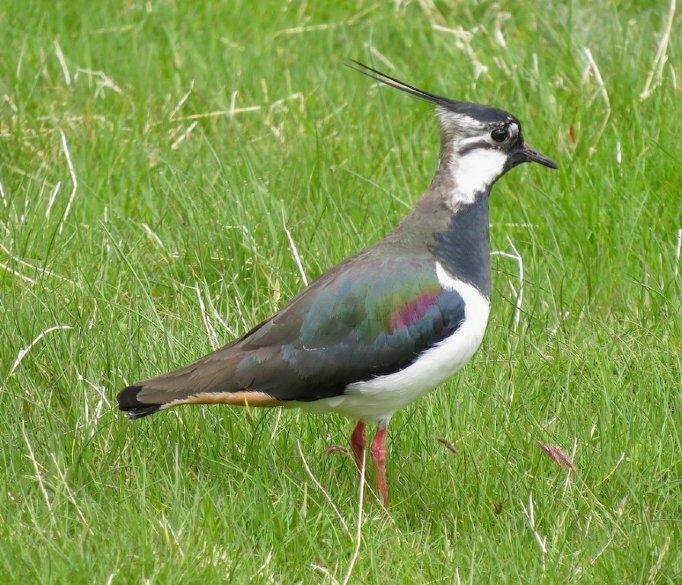 As part of an exciting itinerary we also visit Sleat and the isle of Raasay, exploring wild and remote corners where birders seldom venture, to catch up with waders, seabirds and moorland species. 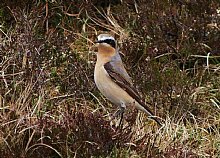 On the final day as we return to Strathspey we may visit Loch Carron or Beinn Eighe to complete a lovely and scenic birding experience. We head west from Nethy Bridge after breakfast. If weather allows, we will head down Glen Shiel, over the Mam Ratagan pass, spending the day exploring this spectacular area. 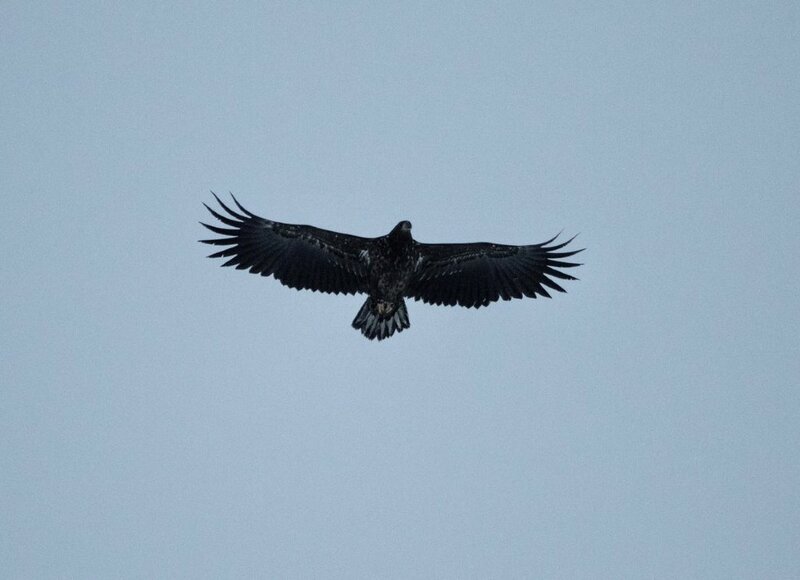 It is entirely possible that by the time we reach Skye we may have already seen eagles, Otters and divers! We arrive onto Skye by the turntable ferry, and head slowly towards our accommodation, perhaps checking for migrant waders at Broadford, or listening for newly arrived warblers in the mixed cover. Once established in our comfortable hotel, we may have time to enjoy our first encounters with eagles and Otter on the island. 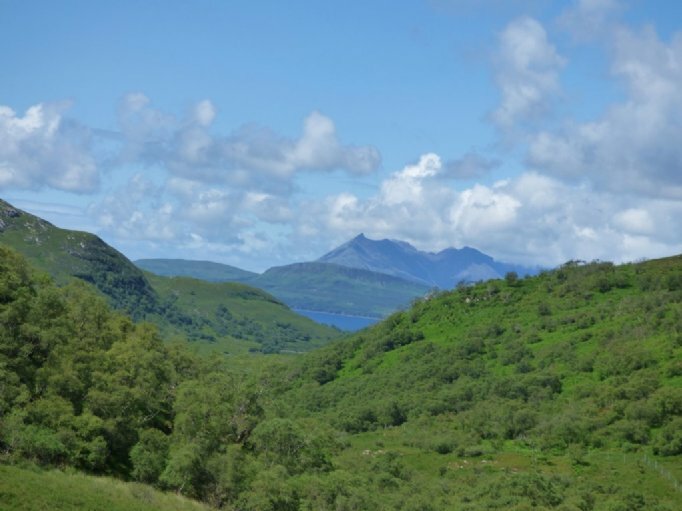 Our first full day offers a scenic tour of the “Garden of Skye”, the Sleat Peninsula. Often overlooked or simply driven through, we will show you why it deserves more attention! 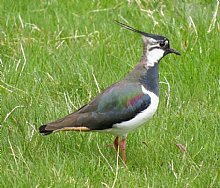 Depending on tide, we will seek passage waders before heading down to Armadale to look and listen in the deciduous woods, which will be full of birdsong at this time of year. 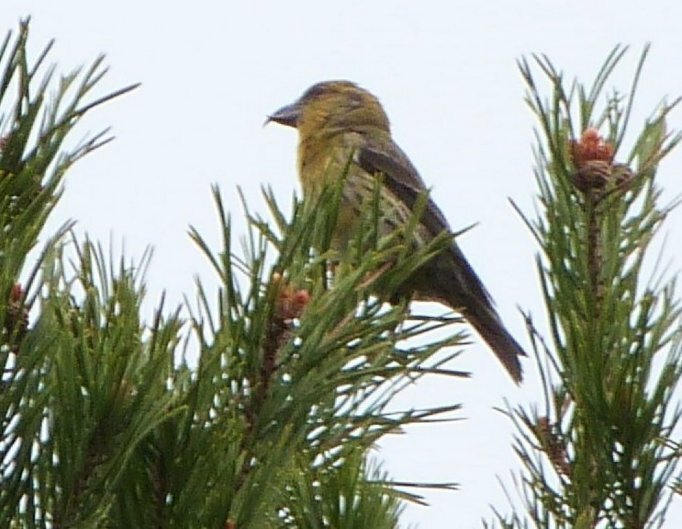 Species including Blackcap, Spotted Flycatcher, Wood Warbler and Chiffchaff can be found here, rare breeders this far north. 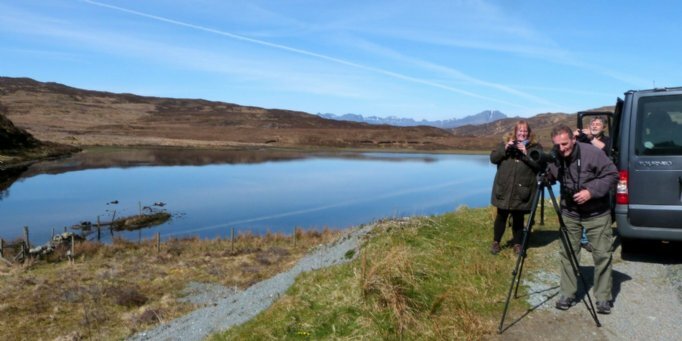 Returning via diverse moorland and coastal habitats, we should pick up a few raptor species, some ducks and divers in the bays on the north side and some of the most stunning scenery in Europe with expansive views across to the Cuillin Ridge. Scrubby areas should also give us Lesser Redpoll, Grasshopper Warbler, Whitethroat and abundant Willow Warbler and Cuckoo. Sleat has been traditionally managed for centuries and that has allowed reptiles and amphibians to flourish. 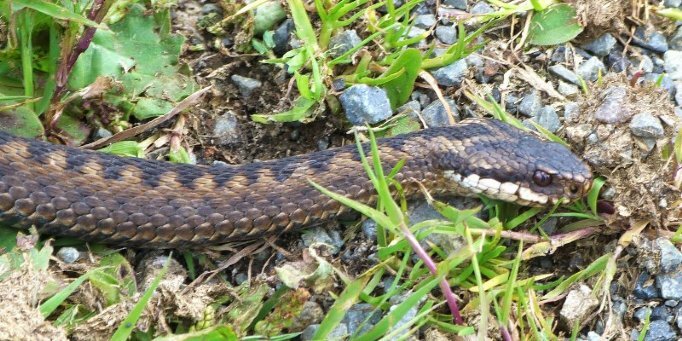 At a few quiet corners we will take the time to look for Slow Worm and Adder if weather allows. 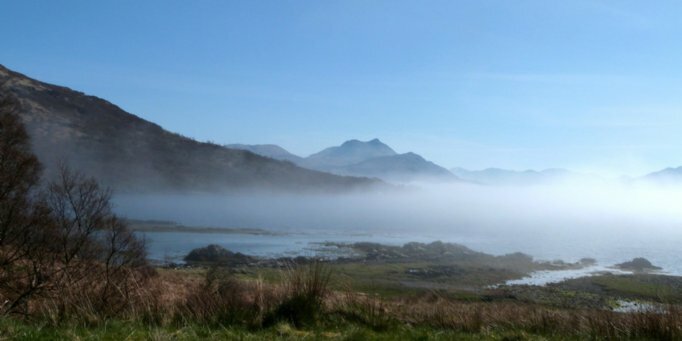 Today we get a full flavour of all that Skye has to offer, and see why it is held in such high regard. 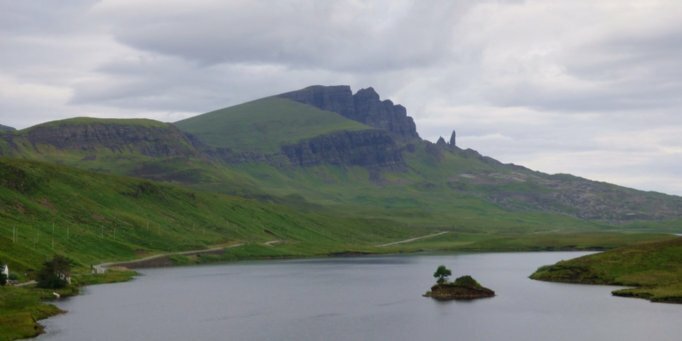 Heading up the east coast, we take a back road to look for divers and passerines, before arriving at Portree. 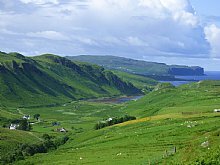 From this quaint town we drive across to the Waternish Peninsula, a superb area for scenery and wildlife, and like Sleat, unexplored and underwatched. Birds in this area benefit from sensitive management for Corncrake, and numbers of Skylark, Linnet, Twite and warbler species are high. We listen and look for Corncrake whilst enjoying distant views across the Minch to the Outer Hebrides. We return via the west of Skye, with a walk along the cliffs at Neist Point, with a seawatch if the weather is clement. 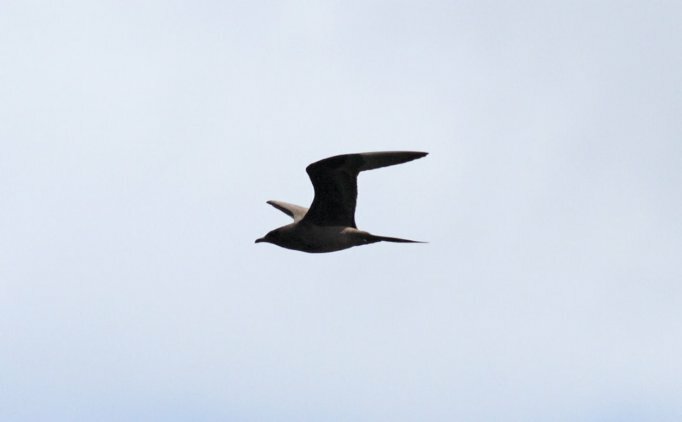 In calm conditions this can be great for cetaceans, and in an onshore wind anything is possible, with migrating seabirds (including Pomarine and Long-tailed Skua) very possible, and perhaps a Minke Whale to reward our steep walk down to the lighthouse. Today we dedicate the whole day to exploration of the Trotternish Peninsula in north-east Skye. 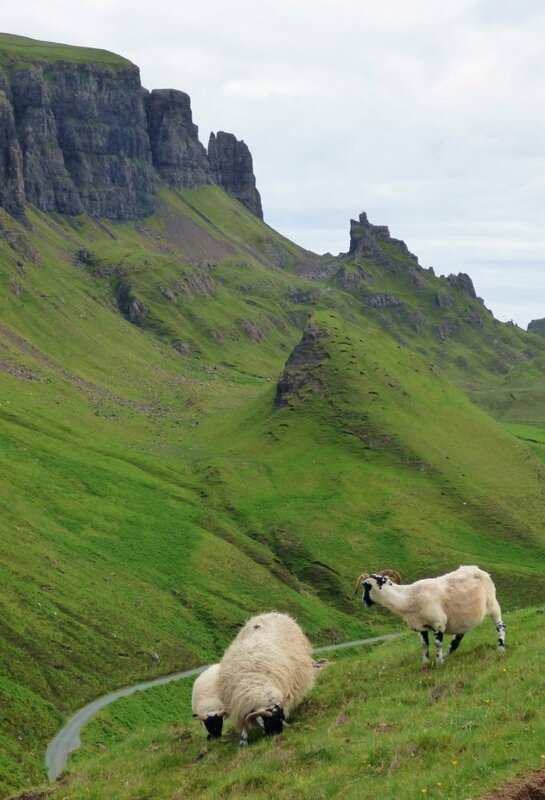 Geologically and scenically stunning with rich history and wildlife, we will take in some of the more famous sites of Skye today, such as the Quiraing, Kilt Rock, Needle Rock and the Old Man of Storr. We will visit sites from mountain slopes to hay meadows, right down to the seashore and should connect well with Golden Eagles. Other targets today are Twite and Corncrake, and we keep an eye out for any early flowers. A truly memorable day. 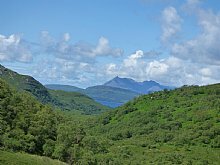 Often unfairly missed out on trips to Skye, Raasay is often seen as 'Skye in miniature', and offers a full range of habitats and wildlife. 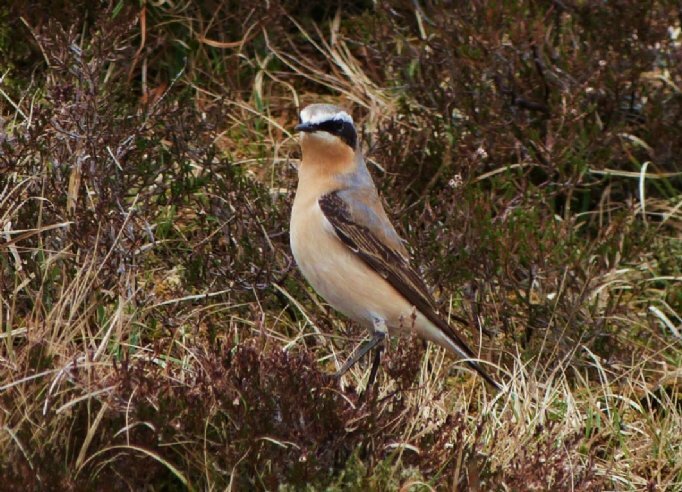 We will explore all corners of this rugged island and are sure to amass an impressive birdlist. 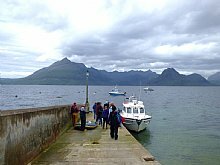 The ferry crossings give us a great opportunity to see seabirds, with numerous auks and the odd Skua heading through the Sound of Raasay. We return via the ferry and check out some of our favoured Otter haunts nearby. We finish the day by taking a quiet moorland road, hoping to see Hen Harrier and Short-eared Owl, both scarce breeders on Skye. Today we leave Skye, taking a slow and scenic drive back eastwards. If weather allows, we will head to the famous Bealach na Ba where to look for mountain birds, including Ptarmigan, in this high Arctic-Alpine environment. Heading back down through Torridon, we drive through rugged glens surrounded by lofty peaks. Our last natural history stop will be at Beinn Eighe NNR, where we may take a walk on one of the many pinewood trails. The holiday will end on our return to Nethy at around 5.30pm. 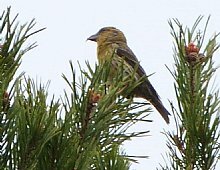 Birding the Highlands in May. Expect a wide variation in weather conditions, which can be wild and unpredictable, with temperatures perhaps averaging around 12 - 15 degrees Celsius. Sunshine, rain and strong winds are all possible, and you will probably experience a bit of everything. Biting insects are not expected. Please bring walking boots or shoes, weatherproof clothing and a small rucksack. The holiday will be run at a relaxed pace, with time for exploring sites, photography and botany as well as fabulous birdwatching in a spectacular setting! There will be short to moderate (1 to 4 mile) walks every day, often over rough, uneven or wet ground. • Five nights comfortable en-suite hotel accommodation. We choose hotels from our personally inspected shortlist, where birders are welcome and the hospitality is special. Guests are never expected to share. Full details with your joining pack. All rooms are en-suite. • Full Scottish breakfast and dinner from Monday evening til Saturday morning, packed lunch daily. • All transfers by comfortable minibus. All ferries and other boat trips. Drivers can leave vehicles safely parked at The Mountview Hotel. • Guidance from a professional Group Leader. • Extra night in Nethybridge area at the beginning and end of holiday. This can be arranged for you if requested at time of holiday booking. • Transfers from train and bus links in Aviemore on day before holiday begins. • Insurance, drinks and other items of a personal nature.